You're invited to attend BPW's New Year Kick-off on January 22 with a presentation by Beth Briggs, the Executive Director of the NC Council for Women. Beth will be speaking about the 2013 Report on the Economic Status of Women and the issues raised in the report. 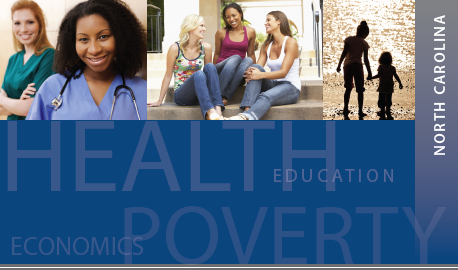 Here is a link to the preview of the report: Key Findings on the Economic Status of Women in North Carolina, prepared by the Institute for Women’s Policy Research (IWPR) for the NC Council for Women. Beth Briggs is a key player in North Carolina's nonprofit sector and a catalyst for women's philanthropy. One year ago she was tapped to lead the North Carolina Council for Women, which has a staff of 15 and an annual budget of about $814,000. Beth and her team have a focus to raise awareness of the current status of women in the state and of the importance of helping women become physically safe and financially secure. Much of the council's work focuses on domestic violence and supporting "displaced homemakers," -- women who need to enter or reenter the workforce but lack the skills or training to do so. Amid an economic environment that has further imperiled many North Carolina women and children, the council's role in educating the governor and state lawmakers about the status and needs of women is becoming even more important. This is why the council's board charged Briggs with commissioning this comprehensive study on the current status of women in North Carolina. The goal is to increase collaboration and cooperation among women's groups to help address issues. The goal is also to communicate the findings to the governor, state lawmakers and the public; bringing awareness of the findings to key policies and funding decisions to make sure resources are put where they are needed in order to support women, families and communities.